If you live in a single-family or a two family lot with less than 1 acre of area, you are allowed to remove our trim a tree in Palm Bay without a permit. There are trees that are exempt from any regulation as they are considered a pest in the area and may be removed without a permit. Exemptions also include any tree that is a danger to health or safety, and require immediate removal without delay. For this an on-site verbal authorization may be given by a City Planner to allow the removal of the tree without obtaining a written permit as herein required. Such verbal authorization shall later be confirmed in writing within seven (7) days’ time. 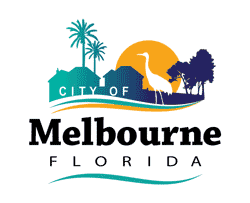 You need to obtain a permit to remove any tree on your property in Melbourne Florida. That also includes pine trees, palm trees, dead trees and any tree that the state considers a pest. Tree removal permits are usually issued at no cost, but can cost up to $25 depending on the tree and the reason for removal. Tree permits for removal are valid for 12 months. Any tree that is removed and a permit is granted replacement, trees will need to be planted in its place. You may remove a tree in Titusville that has a trunk diameter of 4 inches or less as measured at breast height [4 1/2 feet above ground level]. If you live in a single-family residential dwelling and have been living there for more than one year a true removal permit shall not be required by the owner to move any tree. Nuisance trees do not require a permit for removal as they are not protected under the tree removal ordinance. These trees are as follows. You may also remove any tree which is dead diseased otherwise injured and which pose a threat to the public. Permit fee will be waived it in these cases. Yes, a permit is required along with a layout of your yard showing the location of all your trees and indicating which tree is being removed. How much does it cost to remove a pine tree? Is it illegal to cut down trees on your own property? Do I need a permit to cut down a tree on my property?